The Atkins family has had a presence in the northeast Ohio dental community for over 50 years. Dr. Stephen D. Atkins' father was also a dentist, Dr. David T. Atkins and he opened his first practice in 1961. For the past forty years the Atkins family dental practice has been located on Chagrin Boulevard in Beachwood-Woodmere, Ohio. On October 1, 2011, Dr. Stephen Atkins moved his dental practice to Willoughby, Ohio to join the office of his wife, Dr. Alexandra Ukmar. Dr. Alexandra Ukmar built and opened her office in early 2000. Dr. Stephen Atkins is committed to providing excellence in dentistry, and stands out as a leading dentist in Willoughby. The doctor uses the latest in dentistry techniques to provide you with a beautiful and healthy smile. Additionally, Dr. Stephen Atkins believes strongly in education to prevent oral health problems before they occur, and makes sure to keep patients fully informed about their dental health. 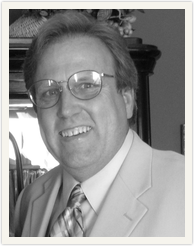 Read more about Willoughby dentist Dr. Stephen Atkins below. Dr. Stephen D. Atkins was born and raised in northeast Ohio. He attended Solon High School and had a strong natural artistic ability recognized by his peers, being voted "Most Artistic" and "Most Creative". He also excelled in the basic sciences, especially math and physics. In his junior year of high school, he assessed his natural artistic abilities, his enjoyment of working with his hands, and his strong affinity for basic sciences and decided to follow in his father's footsteps and also become a dentist. Dr. Atkins graduated from Solon High School with honors and attended Miami University in Oxford, Ohio. While at Miami University, upon the urging of an advisor, he took an art class which he excelled in. At the end of the semester the art instructor asked if she could have his portfolio to photograph and show future students. After three years of undergraduate studies at Maimi University, Dr. Atkins applied and was accepted for early admission into Case Western Reserve School of Dental Medicine. He graduated from C.W.R.U. School of Dentistry in 1986. After graduating from dental school, Dr. Atkins joined his father Dr. David T. Atkins' practice on Chagrin Boulevard in Woodmere, Ohio. They worked together for almost ten years before Dr. David Atkins' retirement. In 2002, Dr. Stephen Atkins married Dr. Alexandra Ukmar. Ironically, when Dr. Ukmar was a child, her family's dentist was Dr. David Atkins. Drs. Steve Atkins and Alexandra Ukmar have one daughter, Danelle born in 2005. In October 2011, Dr. Atkins moved his practice from Woodmere-Beachwood area into the office of Dr. Ukmar. Dr. Stephen Atkins has been involved with organized dentistry as a member of the Greater Cleveland Dental Society, Northeast Ohio Dental Society, Ohio Dental Association, American Dental Association, and the American Academy of Implant Dentistry. Dr. Atkins also frequently attends the American Academy of Prosthetic Dentistry's Annual Scientific Sessions; and he is past president and board member for the Heights Dental Study Club--- the oldest dental study club in northeast Ohio, founded in 1929. Dr. Stephen Atkins has also been a leader in community service and the philanthropic community. He has been a volunteer and past board member of the Make-A-Wish Foundation of Northeast Ohio; deputy counselor for the Psi Omega Dental Fraternity; supporter of the Hospice of the Western Reserve specifically the "Kaite Dolesh Lectureship Series". For 25 years, Dr. Atkins has been a member of Rotary International and the Chagrin Highlands Rotary Club. He is a past president of the Chagrin Highlands Rotary Club, a five time Paul Harris Fellow and sustaining member, and has received the Governor's Citation Award for Outstanding Service. Some of the Chagrin Highland's club service projects include: a "Sports Challenge Unlimited" for the mentally disabled residents of Cuyahoga county; providing dictionaries to Cleveland's inner-city elementary students; honoring first responders, both police and firefighters/paramedics with a "Safety Forces Awards Luncheon"; a "4-Way Test Speech Contest" for scholarships with almost 60 high schools in northeast Ohio participating, having students apply an ethical test to a contemporary dilemma; and contributing to Rotary International's "Polio Plus" which continues its progress to make history by eliminating the world of the Polio virus. 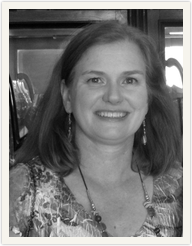 Dr. Atkins' hobbies include Geocaching, skiing, travel, magic and a passion for music, playing several instruments. He currently plays the fiddle, button box accordion and the mandolin. Dr. Atkins routinely plays for contra-dances, metro-park festivals, elementary schools, community dances, private parties, and fundraisers with the band "Mud In Yer Eye". He is also a member of the Lake Shore Live Steamers assisting in public train runs at Penitentiary Glenn. Dr. Atkins also enjoys performing magic and is a member of the International Brotherhood of Magicians and has attended performances at the Magic Castle in California. Dr. Alexandra Ukmar was born in Cleveland, Ohio. She grew up in Euclid, Ohio and graduated with honors from Euclid Senior High School in 1982. Dr. Ukmar attended Boston University for two years as a Trustee Scholar and started dental school at Case Western Reserve School of Dental Medicine in 1984. After graduation from dental school, Dr. Alexandra Ukmar did a general practice residency at Cleveland Metropolitan General Hospital. 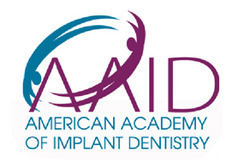 Her other graduate training includes a Surgical and Prosthetic Externship at the Midwest Implant Institute in Columbus, Ohio; and Mastership from the Academy of General Dentistry earned by completing more than 1,100 hours of quality continuing dental education in the 16 disciplines of dentistry, including 400 hours of hands-on courses. Since 1986, Dr. Alexandra Ukmar has taught as an instructor at CWRU School of Dental Medicine. She is an Assistant Clinical Professor in the Department of General Practice Dentistry and lectures frequently at the dental school.